“Bright Star,” who had a heart opening on Dec. 21, 2017, sent in this channeled message. Bright Star is a medium. Notice how this dust/smoke “replaces all,” just as the inner tsunami of love I experienced swept away all worries, concerns, regrets, etc. Notice also how breathing is important. I use breathing to access the love in my heart. 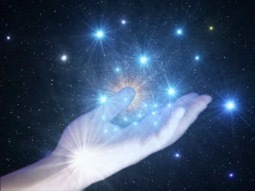 Ascension is not one event, of course, but a gradual process of raising our vibrations, punctuated by several “snaps,” such as the one that seems to be coming. Bright Star’s sources are Jesus and his Higher Self. I received the following message out of the blue during the night/this morning. Dust like smoke, of rainbow colour, penetrating nature and each human, experienced and seen by every human being on Gaia, coming from everywhere (not merely from the sun). Beautiful but also scary mainly because you cannot figure out where the dust/smoke comes from or what it is – at first. In the moment when the dust/smoke hits, LOVE replaces all and the internal change process begins. You feel extremely happy during the process and you don’t want to stop it. Activate the process through breathing, enabling the heart to get filled with air. It needs much air as it is the engine that is in the lead of your internal transformation process. Could last for some hours up to some days. The latter is the rule for the majority – depending on which energy level you were before the process started. Stop with everything you’re doing. Try to relax after the first shock when you see the dust/smoke. Close your eyes and concentrate on your breathing – and then let the LOVE wash you anew! Lightworkers are in the same boat as all other human beings: Follow the same principle (stop doing what you are doing, relax, and breath). Lightworkers will complete the process faster, thereby being able to help others after the lightworkers have finished their own process. No contact with star family et al during the process. It is a very intimate time for each and everyone. It hits out of the blue and you cannot prepare. You’ve prepared over many lifetimes for this event and all humanity is ready either to receive or to finally leave the planet. There is only one Gaia. No transfer to another “Gaia B” planet. We will receive big help from our family behind the veil after the process is finished. No specific date is given when this will start. Ok, finally, I’ve listened and send it out to you now. Have a great day, my friend!